What Is Black Friday Sale And Where Can You Get The Best Deals? What Is Black Friday Sale And Where To Get The Best Deals? Did you know that an average Singaporean spends around S$225 on Black Friday and mostly buys clothes, shoes and electronics? A recent study by the Global Analysis Team explained what is Black Friday sale and how Singaporeans spend differently from the other nations. 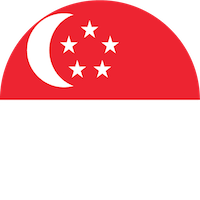 The research found that as always, almost 49 percent of Singaporeans will participate in Black Friday this year; and 63 percent of bargain hunters will choose both online and offline sales. But before we tell you where you can get the best deals, let us talk about that which is pertinent- what is Black Friday sale? For the uninitiated, a Black Friday sale comes after Thanksgiving and Halloween—as it will this year—on November 23. On this day, stores throw open their doors to customers and put on sale products that are highly discounted. And not just any discount, but anything between 80 and 90 percent. On an average, you will find most stores starting their discounts with 53 percent and above. The study also found that most Singaporeans were interested in online sales. The rest will opt for the traditional offline-only option (4 percent). “For comparison, in 2017 the percentage of users choosing only brick and mortar stores was almost twice as high (from 7% to 4%),” the study notes. For those who are unable to grab all the best deals during Black Friday sales, worry not. Your golden opportunity hasn’t gone away yet. You also have Cyber Monday, which is the first day following the weekend of Black Friday sales. Almost all the remaining sales solely take place online. So you won’t find many brick and mortar shops with the same high discounts. But their websites might continue to have discounted products on Cyber Monday. Where To Find The Best Black Friday Sales Online? The study also revealed the best online deals for enthusiastic millennial shoppers. It listed the following websites as having the best Black Friday sales. Now, as far as safety of purchase is concerned, the study reveals that a typical Black Friday sale is safe and in fact, the best time of the year to shop. And this year you can expect a huge percentage of discounts all over Singapore. “On average during Black Friday users enjoy 55 percent markdown. A true bargain hunters might even have the opportunity to grab some products for a single dollar!” the study notes. So get ready to shop your heart out. Whether you want celebrity-inspired clothes, shoes or any other product, ready your bags.